All in the hopes of cleaning out your newsfeed. The 2016 US Presidential Elections shined a bright light on the misinformation spread across the internet can wreak havoc on voters and public discourse. 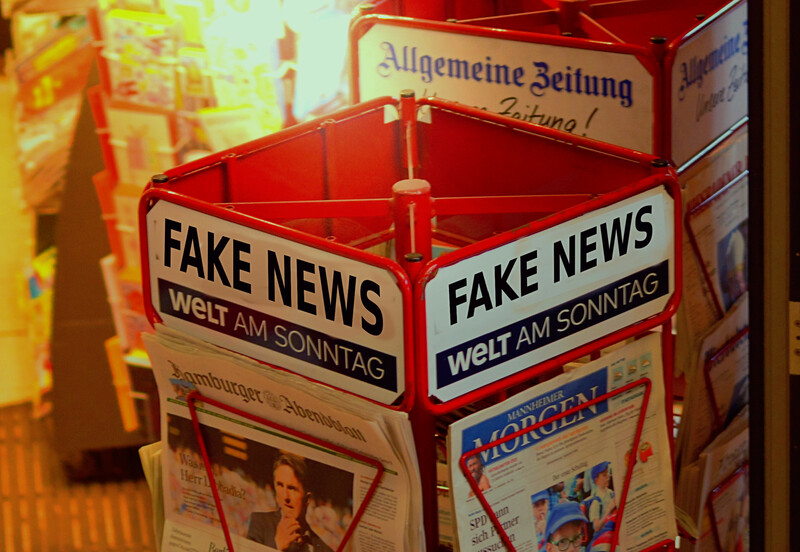 Many tech monoliths that have molded the internet into what it is today have adopted strategies to try and combat the spread of fake news as they head into the 2018 midterm elections. While none of these plans offer a way to rid the web of organized misinformation campaigns entirely, it’s a step towards ensuring users have access to the trustworthy information. Some tech companies have taken a hands-on approach, relying on editors to weed through the sensationalism and find the facts. While others have opted for a more automated process to pile through the endless amount of data being posted online. This is all in hopes of clearing the bogus content from your newsfeed and serving you up quality journalism before you head to the polls. On Monday, Apple announced the kick off its midterm election news strategy. Apple News users will have access to a special list of curated political coverage from “trusted publishers,” like Fox News and Vox. The company also signed deals with The Washington Post, Axios, and Politico to publish exclusive features on the app. All of these stories will be hand-picked by a team of human editors. This type of hands-on curation has been a pillar of Apple News since its launch and it will be the weapon it will choose to fight fake news. This is in stark contrast to some of its competitors. Facebook has taken a much more hands-off approach compared to Apple. Since the social network has upwards of 1.4 billion daily users, it has laid out a plan to use human fact checkers alongside artificial intelligence. The company began its fact-checking program in 2017 and has since expanded to 14 countries with plans for further growth. Facebook claims this has helped decrease the dissemination of false stories by 80 percent, but did not provide an explanation of how it came to that statistic. To help these moderators a mix of machine learning and tests to determine the validity of pictures, videos, and stories. While A.I. is incredible at piling through data, it is nowhere near perfect and can be fooled into seeing or hearing things that aren’t there. In April, Facebook CEO Mark Zuckerberg announced additional changes to Facebook’s ad platform that will theoretically protect against fake news. Targeting the posts seen by millions of people before the 2016 election, Facebook will now require political advertisers (including those making posts about specific political issues) to be verified. These ads are now stored in a global archive that allows users to find who posted ads and see how far they reached. Much like Apple, the Google News Initiative will work hand-in-hand with news organizations to attempt to accomplish three goals: Elevate accurate reporting while combating misinformation during breaking news situations, help publishers grow from a business standpoint, and create tech to help journalists do their job. It pledged $300 million over the next three years towards meeting these milestones. However, unlike Apple, Google will make extensive use of their A.I. technology to expose inaccurate content as well as give publications insights about revenue opportunities. This includes its “Subscribe with Google” program that allows people to subscribe to publications right from their Google browser. Twitter was a pivotal tool for misinformation campaigns to spread false claims during the 2016 election cycle. For this reason, the social platform will begin giving their users more detailed labels to spot what’s legit and what’s not. “We understand the significance of this responsibility and our teams are building new ways for people who use Twitter to identify original sources and authentic information,” wrote Bridget Coyne, Twitter’s Senior Public Policy Manager, in a blog post. Candidates running for state Governor, the Senate, or the House of Representatives will receive these labels. These will include: what office they’re running for, their state, and which district they represent for those in the House race. All of this will be found directly under the candidate’s handle on their profile and their tweets.